Londyn Samuels in the arms of her father, Keion Reed. A 1-year-old girl was shot dead in her babysitter's arms in New Orleans, prompting the city's mayor to declare "enough is enough" as police hunted for two suspects with little help from witnesses. Londyn Samuels, who was just learning to walk, was struck by a bullet fired into her 18-year-old nanny's back as she carried the toddler home from the park. "What kind of a man would shoot at a woman holding a child?" Police Superintendent Ronal Serpas said Friday as he pleaded for witnesses to the Thursday night slaying to come forward. "That's not the kind of person you want to protect." Two shots were fired and one of them tore through the sitter's torso, hitting Londyn in the chest. The young woman, who was expected to survive, called the child's father in anguish. 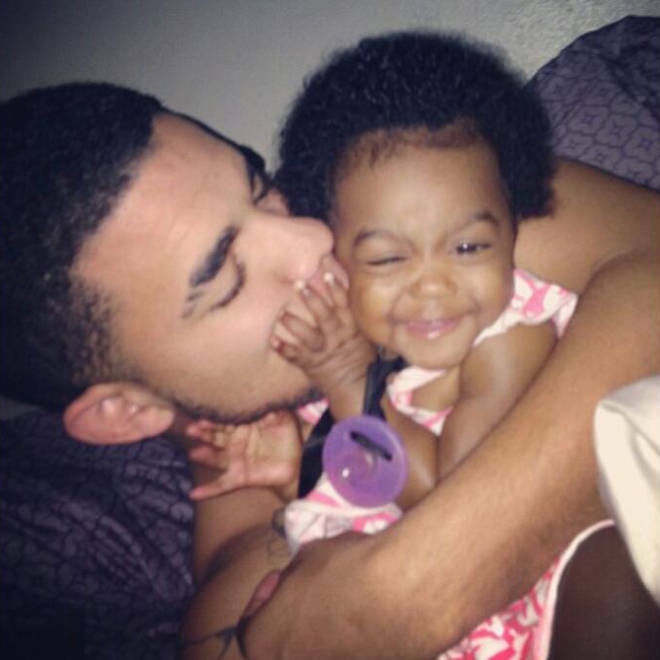 "She said, 'Kee, we got shot — me and Londyn,'" the dad, Keion Reed, 20, told NBC News as he made plans for a Sept. 7 funeral. Londyn Samuels, in a video from her father's Instagram account. "In the back of my head, this is a bad dream I haven't woken up from yet." Londyn's mother was working at a non-profit cafe dedicated to anti-violence when the shooting happened. She said at a news conference that she breaks down in tears every time she looks at a picture of her daughter. "I'm hurt," Andrea Samuels, 22, said as she choked back sobs. "Because that was my baby." Police said two men were seen running from the scene after the shooting and they released grainy surveillance photos. They did not provide a motive for the shooting, but said there was no gunfight and the two victims were not caught in any crossfire. "We think the neighborhood knows who they are," Serpas said, adding that only one tip had come into CrimeStoppers despite a $5,000 reward. "Tell us who they are." During an overnight canvass of the neighborhood — where three other young children have been shot dead since 2010 — the residents of one home were uncooperative. After a SWAT team was called in, police questioned two women and a man but did not charge anyone. Mayor Mitch Landrieu said that while New Orleans' murder rate — once the highest in the nation — has dropped, Londyn's death shows "aggressive law enforcement" is needed to curb gun violence. "When a young man kills a child in the arms of an 18-year-old, we have to take it to a new level," he said. "The shooting has got to stop." 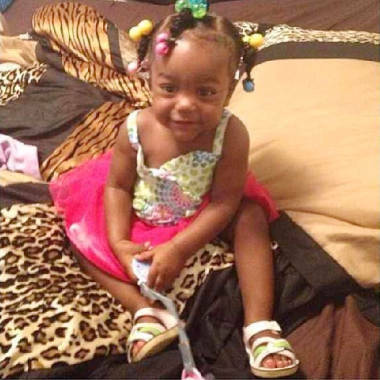 Police are calling for tips about the shooting death of 1-year-old Londyn Samuels. Reed said the death of the little girl who loved Minnie Mouse and was always smiling had left a hole in his heart. "She just loved being around me and her mama. She was our world, you know? She was the highlight of every day," he said. "She was always happy. When I was down, she would crawl in the bed with me and say, 'Dada,' and hit me in the face to make me smile." As he mourned, he vented his anger toward the gunman. "My daughter didn't do anything to him," he said. "Why did she have to die?"